NYSE's Most Iconic Stockbroker Admits He's "Never Owned A Share Of Stock In My Life"
If you have a pulse and own a stock, The Washington Post points out, you probably have seen Peter Tuchman’s face. But a household name he ain’t. 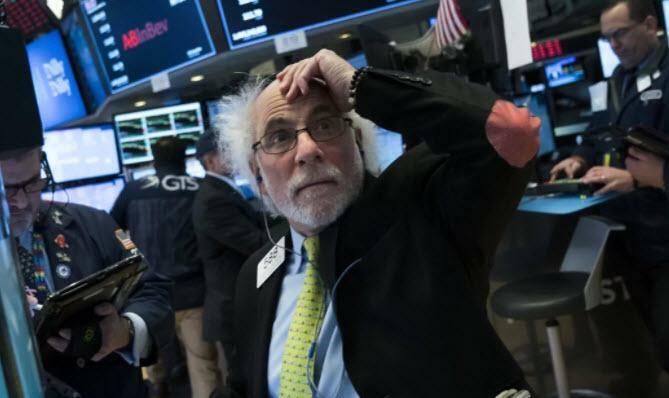 The 60-year-old trader is perhaps the most iconic face of The New York Stock Exchange - and the US stock-markets - as the trader's Einstein-y look can be relied upon as a real-time indicator of sentiment - be it anguish, anticipation, desperation, or triumph. Tuchman is without doubt the most photographed person at The NYSE. "The floor of NYSE is the greatest office on Earth. It has energy, people. These are hallowed floors. It’s 120 years old, and every president, every head of state, celebrities have walked this floor. What goes on on this floor will affect world finance on a daily basis. And I’m in the middle of it. I love that. And once my face became what it’s become, I love that part of it, too." "I am the eyes and ears and the conduit for trading and point of sale of buying and selling stocks for customers. Electronic markets are all fine and good, to a point. What makes what I do so powerful and meaningful and still so important is the human factor on the floor of the stock exchange. We have brokers, human beings, market makers, the human safety net set in place to protect against unruly volatility, artificial intelligence. People see us here and they know a human being is watching over their money and their market. That’s what makes a difference. That’s why I’m still here." Welcome to real-world America and where the real-world wealth effect does not trickle-down. Ironically, Tuchman is not alone in "not eating his own cooking." It seems more than a few of America's great-est-and-good-est analysts are losing their religion in another cult stock. As Bloomberg's Gadfly notes, among the stock analysts who track Apple, about two-thirds now say the company's shares are worth buying, according to data compiled by Bloomberg. That seems like a large share, but it's relatively pessimistic in the grade inflation-prone world of Wall Street stock recommendations. It is the lowest percentage of buy ratings for Apple in nearly three years, Bloomberg data show. If analysts are losing faith in America's most iconic company's shares and the most iconic image of American stock-ownership can't afford to own stock, one wonders what The Fed's pumpathon for the last decade (or three) has really all been about? Finally, Tuchman has some parting advice: "Never get emotional about money as a trader. It’s why I don’t own stock."